Cheshire Fitness Zone is offering a mini camp this President’s Day! 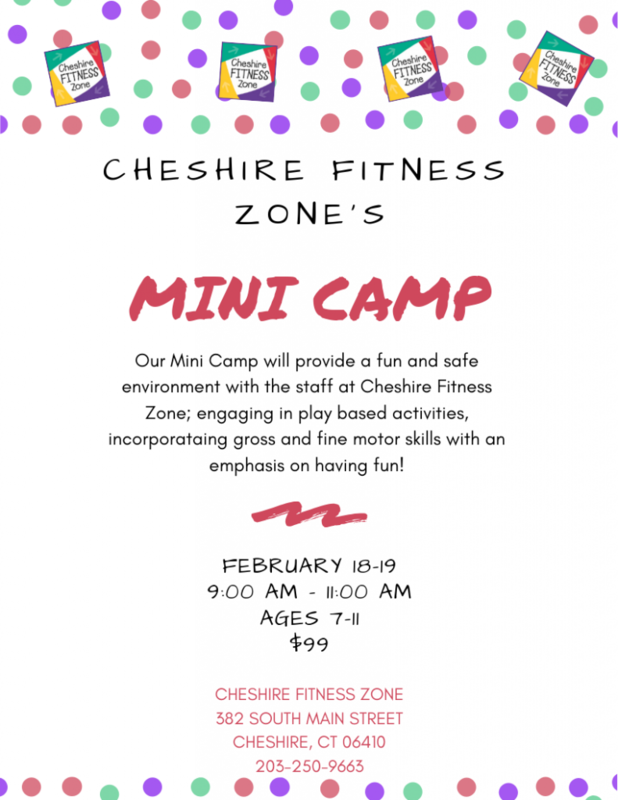 Our Mini Camp will provide a fun and safe environment with the staff at Cheshire Fitness Zone; engaging in play based activities, incorporataing gross and fine motor skills with an emphasis on having fun! The camp will run Monday, February 18th and Tuesday, February 19th, from 9-11 AM. This camp is for 7-11 year olds and is $99. Please contact the front desk for more information or to sign up. → Haircuts: The Challenge of Finding Comfort for your Child.